Thoughtful design, inside and out. Large 7", 300 ppi display. 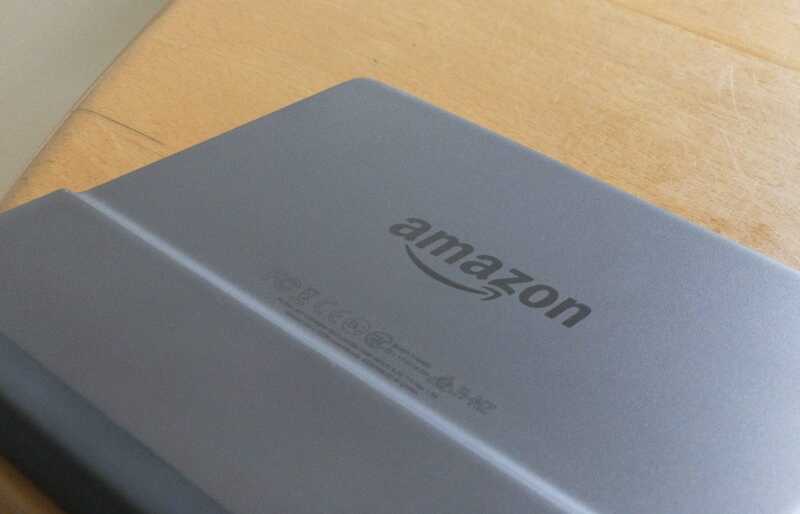 The Kindle Oasis is Amazon’s premium Kindle device. 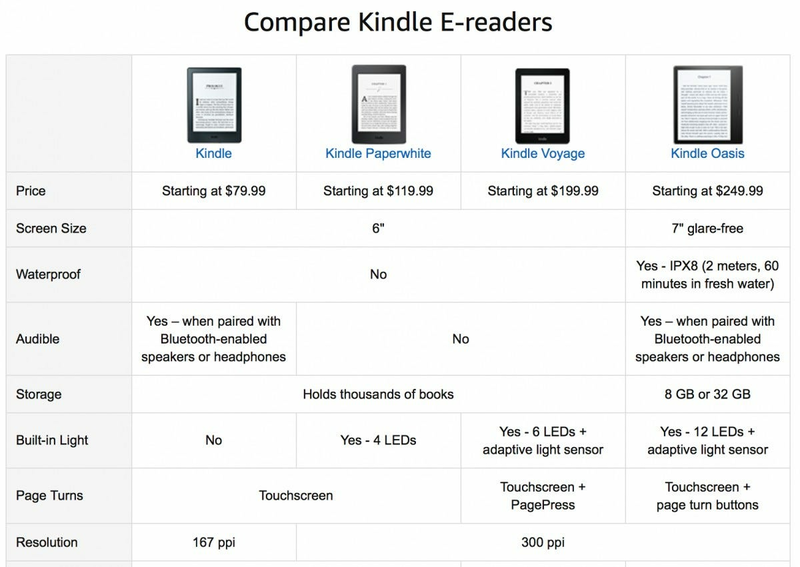 It’s—supposedly—the best e-reader Amazon can make but is it worth the ridiculous price? Read on to find out. Amazon’s Kindle range starts at $99.99 for the basic Kindle and the $139.99 Kindle Paperwhite is nearly universally considered the best all round e-reader. The basic Kindle Oasis is $269.99 and, the 32GB model with free 3G is (an almost comical) $349.99; that’s more than the price of an iPad for a device that really doesn’t do whole a lot more than the entry-level Kindle. The Kindle Oasis has got to be special to justify its price. I’m reviewing the top end model with the free 3G but everything also holds true for the (comparatively) cheaper models. The reader is the same; it’s just that you need to connect to Wifi to download new books or sync your position. With that in mind, let’s dig into the experience and see if it’s worth the premium price. The Kindle Oasis is undeniably the nicest Kindle yet. Small lines in the ad copy actually deliver great real world results. This is the second generation of the Kindle Oasis and Amazon has made a few noticeable changes. The biggest one is that, well, the Oasis is bigger. It’s now 6.3” x 5.6” and has a 7” 300 dpi screen. While all the other Kindles are about the same height, they’re only 4.5” wide. You might think that making the Oasis bigger would make it heavier and harder to hold. While it’s no longer the lightest model, at 6.8 oz in falls right in the middle of the line up. The Kindle and Voyage are slightly lighter while the Paperwhite is slightly heavier. This means it’s the asymmetric design that really determines how the Kindle feels in your hand and it’s a winner. 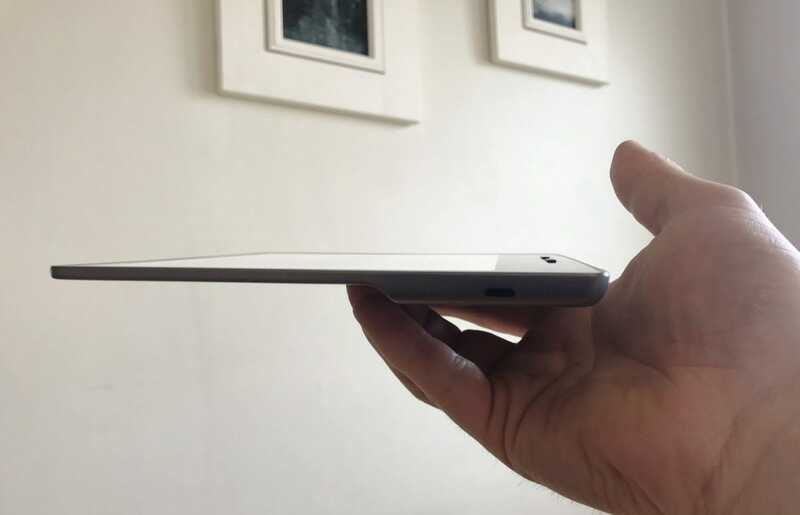 Unlike other Kindle models, the Oasis is significantly thinner at one edge (0.13”) than the other (0.33”). This moves the center of gravity to right where your fingers naturally rest so it sits perfectly in your hand. You’re never really holding a Kindle Oasis, you’re letting it rest there. After a few minutes, you forget about it entirely. The page turn buttons are similarly well thought out. They sit right under your thumb as you hold the Kindle and are much much nicer to use than a touchscreen. If you take a more unusual grip, you can also swap which button goes forward a page and which goes back. 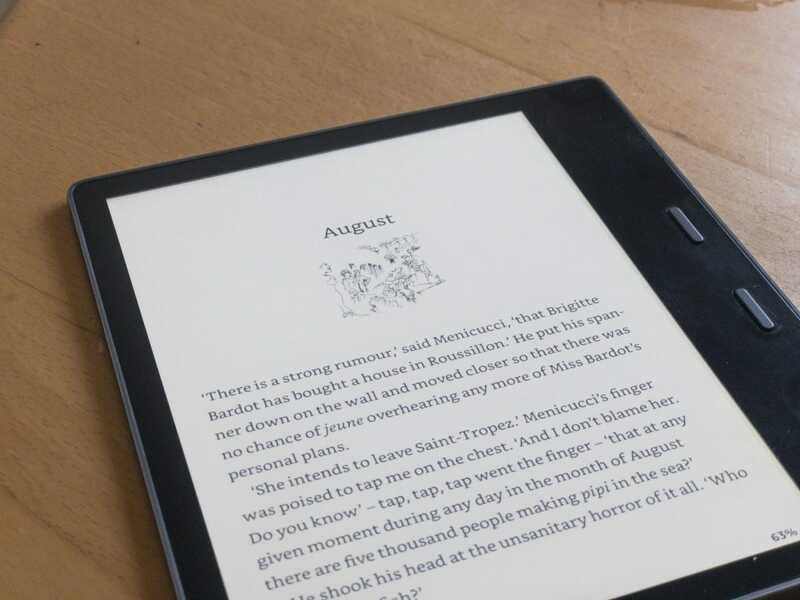 The Oasis uses an accelerometer to determine with which hand you’re holding the Kindle and adjusts the screen and button behaviour accordingly. It’s worked perfectly the whole time I’ve used it. While the first Oasis model only had a few days battery life if you didn’t use the included battery case, the second generation forgoes the case and just crams more battery capacity into the larger body. It’s a bit of a tradeoff, but on balance, it’s probably better this way. Kindles have traditionally felt pretty plasticky and cheap. They were never poorly made, but they didn’t have the high end luxury feel of an iPad. The Kindle Oasis fixes this with a unibody aluminium back; the top is a single piece screen without the bezel or lip you find on a Kindle or Paperwhite. The reading experience gets some similarly small but nice upgrades. The Oasis uses 12 autodimming LEDs to evenly front light the screen which makes it the most paper-y looking yet. The refresh rate on the screen is lighting fast so page turns are almost unnoticeable. 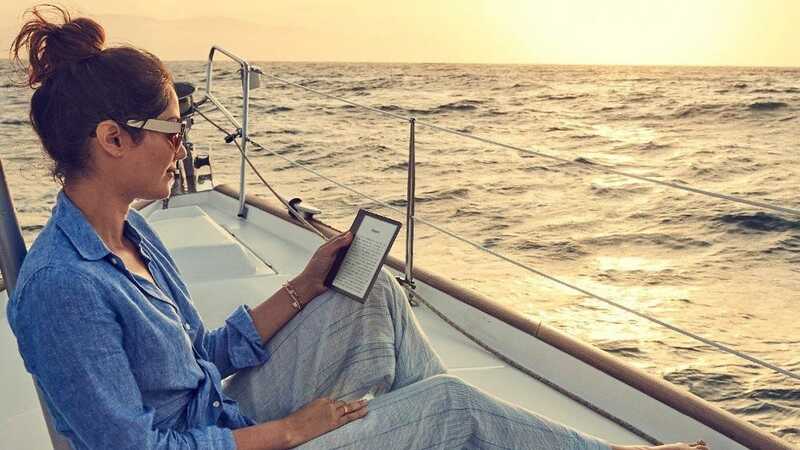 One of the flagship features is that you can connect a Kindle Oasis to your Bluetooth speakers or headphones and listen to your Audible books. It works perfectly although it does drain the battery faster than just reading eBooks. If you have both the eBook and the audiobook on the device, you can swap between listening and reading in a single tap. Strangely, the only other Kindle device this feature is available on is the entry level Kindle—much to the dismay of audiobook fans, playback is completely eschewed on the Paperwhite and Voyage—it’s also available in the Kindle apps for iOS and Android. The Kindle Oasis is Amazon’s first waterproof Kindle. It has an IPX8 rating so you can leave it sit in fresh water to a depth of 1 metre for an hour. In real world use, this means that if your Kindle takes a swim in the bath or gets splashed by the pool, it’s going to be totally fine. One thing to note is that if you get water on the touchscreen it will flip out and detect random presses. You can temporarily disable the touchscreen while you read which makes the Oasis easier to use when children armed with water pistols are running around. All in all, the Kindle Oasis is the best Kindle yet. It’s a more refined, high end version of the Paperwhite. Everything about it is just a little bit nicer and all those little bits add up to a surprisingly noticeable difference. The spec sheet might not support it, but the Oasis is in a different league to the regular Kindle. But we still need to talk about the price. 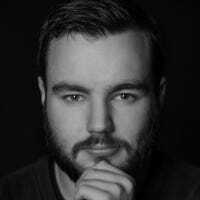 If you think about it in purely in terms of the device, the Kindle Oasis is ludicrously expensive. It’s a $280 piece of paper. For $329 you can get an iPad and the Kindle app; the iPad is a bit pricier, but you also get high-end luxury features like a color screen and a web browser. Heady stuff. The reality is, if the price is causing you to balk, the Kindle Oasis probably isn’t for you. It’s aimed at a very small subset of Amazon’s customers who read on their Kindles so much that it’s worth paying $200 premium for a slightly nicer experience. If you fall into this category, the Oasis is everything you hope it will be; if not, buy a Paperwhite. Now this isn’t to say the Kindle Oasis is perfect. It’s the best Kindle yet and an incredible device, but it isn’t without a few flaws. The main one is that, well, it’s kind of big. I was able to squeeze my Kindle Paperwhite into the pocket of most of my jackets; that just isn’t possible with the Oasis. While the extra size is nice when you’re reading, it makes it a little bit harder to take your Kindle everywhere. If you always carry a bag, you probably won’t notice, but if you’re used to heading out with your Kindle in your pocket, it is going to annoy you. The Kindle Oasis is a glorious, beautiful, utilitarian reading device that costs a ridiculous chunk of change. It’s a Kindle for the 1%—not in terms of earnings, but in terms of how much you read. Two years after release and one update later, it’s still the best e-reader around. Most people don’t need an Oasis and, frankly, most people won’t get much value from an Oasis. But if you read a one or more books a week, then it just might be the best $280 you spend this year and your favorite purchase—I know mine has been.